The news of the Army’s updated regulations (AR 670-1) has created an uproar amongst African American Soldiers; however, it shouldn’t come as a surprise since many individuals lack basic knowledge of black hair structure and care, hence the squabble over the updates being seen as racially bias. 1) Revision of Offensive Language (to be completed in 30 days). 2) Hairstyle Policy Review (to be reviewed over the next 90 days). As we know, the first task can be completed fairly easily, as it’s just a matter of revising the terminology; however the second task will take time to “ensure standards are fair and respectful” of the military’s diversified force. 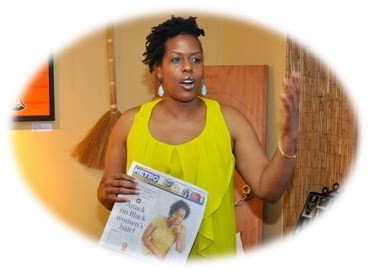 But, here’s my concern as a Natural Hair Advocate… In reviewing the grooming and appearance policies for all service members, we don’t want to lose site of the issue at hand and that’s the banning of certain natural hair styles predominately worn by African American women. 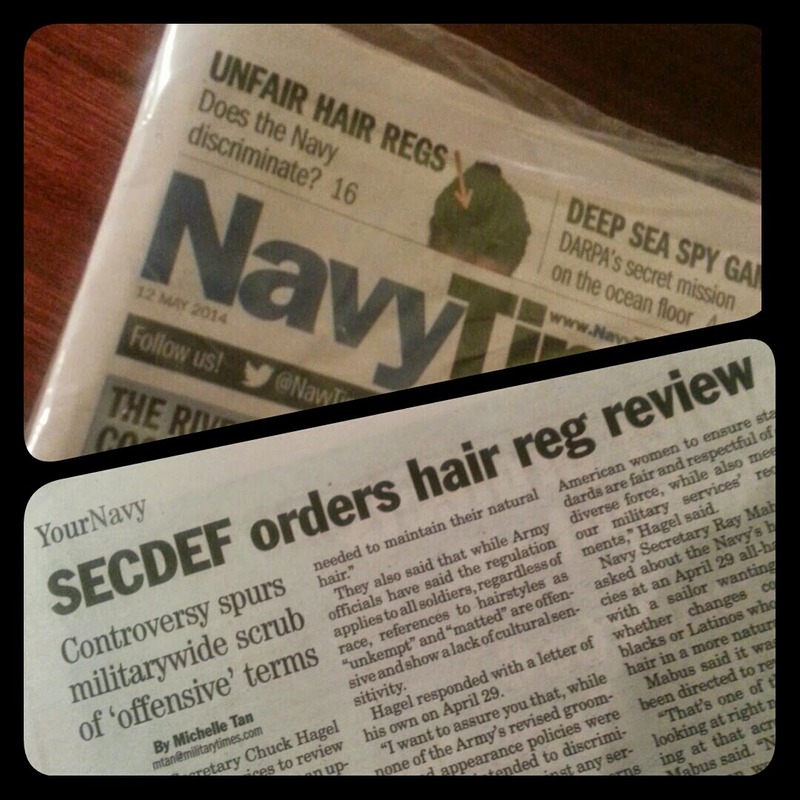 I applaud Navy Secretary Mabus and all the other senior leaders directly involved with this decision making process for including the view points of those affected by the current policy, however I believe that conversations alone will not be sufficient enough to enlighten and provide insight for the time, care and maintenance that goes into grooming natural hair. The old saying of “TELL ME and I forget, TEACH ME and I remember, INVOLVE ME and I learn” would serve as a great training tip to “ensure standards are fair and respectful” “as they pertain to African American Women” as Chuck Hagel mentioned in a letter he’d written. “Black Hair” is still a mystery to many who don’t understand our natural hair or its history; nevertheless, I see this hair debate as a great way to educate and demonstrate that together we can honor and respect our individual cultures in a way that values our diverse society.